The two available N-Prizes will be awarded to the first persons or groups to put into orbit around the Earth a satellite with a mass of between 9.99 and 19.99 grams, and to prove that it has completed at least 9 orbits. One prize will be given a the "single-spend-to-orbit", or "SSO" Prize. The other prize will be awarded for the "reusable vehicle" or "RV" Prize. Both prizes carry equal status. Any method of attaining orbit is acceptable, provided it does not breach the rules or spirit of the N-Prize Challenge. Examples might include (but are by no means limited to) conventional rockets; balloon-launched rockets (rockoons); gun-launched projectiles; or combinations of these or other methods. 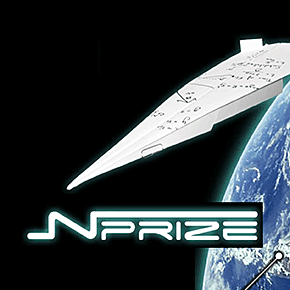 All entrants are strongly advised to contact the organisers at the outset to ensure that their proposal falls within the rules and spirit of the N-Prize Challenge.